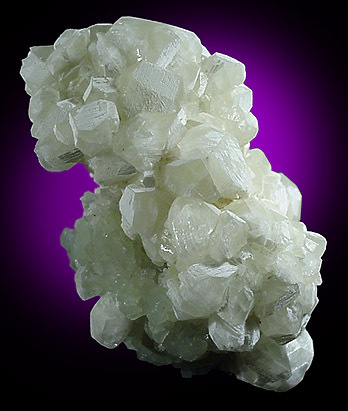 Description: Well crystallized cluster of pale green datolite crystals to 1 cm, with whitish coating on selective faces. 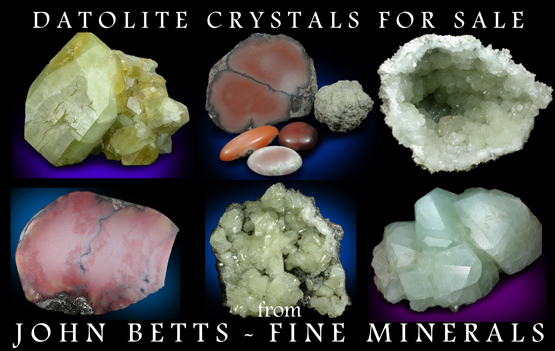 The datolite formed over green prehnite. No apparent damage.